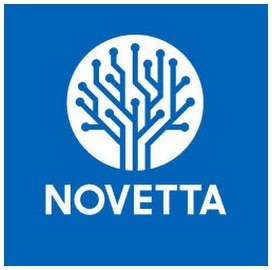 During the 2018 Amazon Web Services re:Invent event, held Nov. 25th through Nov. 30th, Novetta participated in two cyber platform launches. The McLean, Va.- based analytics technology company assisted in the launch of the AWS Snowball Edge with a Graphic Processing Unit (GPU). 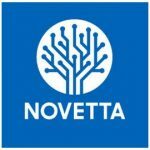 Novetta was also a featured partner in the launch of the AWS Marketplace for Machine Learning on Nov. 28th. The AWS Snowball Edge platform features on-board storage and power for select AWS capabilities. Each device can transport data at speeds faster than the internet by shipping data through a regional carrier. During the presentation at re:Invent, Novetta leveraged the Snowball Edge to triage digital media and identify high-priority documents and photos within minutes. Learning Center of Excellence. The company’s machine learning solutions enable customers to leverage pre-trained models or train their own with just a few hundred labeled documents. Rob Sheen, senior vice president of client operations, who attended his fifth AWS re:Invent, spoke with ExecutiveBiz on Thursday. In addition, Novetta participated in various speaking engagements throughout the event. Kim Bartoe, vice president of national security analytic solutions, discussed diversity and inclusion on modern technical teams during the We Power Tech: Lightning Talks with Executive Women in Tech event on Nov. 28th. Novetta’s Kevin Heald and Matt Teschke demonstrated cutting-edge machine learning prototypes for use at the tactical edge during the Rapid Prototyping for Today’s Mission seminar on Nov. 28th.